2017 has started with a new trend in smartphone design- The bezel-less smartphones. We already have seen the Samsung Galaxy S8, and the LG G6 (not truly bezel-less though), the Galaxy S8 and S8+ look utterly gorgeous with a bezel-less design, kickass hardware, and a massive display, that doesn’t restrict users from one-handed usage. Are the future smartphones going to be truly bezel-less? 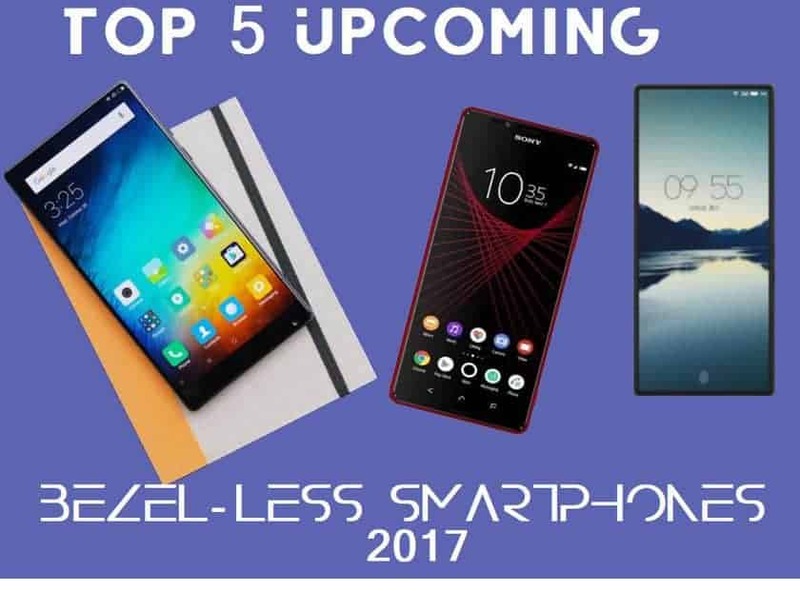 Well, not all of them will be, but we have the list of Top 5 upcoming bezel-less smartphones which you might consider buying if you’re looking for one, some of them might not cost as much as an S8 or S8+ but will look beautiful and would deliver great performance for sure. So, let’s get started with the list. Haven’t heard this name yet? Well, the Essential Phone comes from Andy Rubin, the creator of Android who is currently working on his project to come up with a new smartphone and it would probably be another revolutionary product. Just about a month ago he teased the Essential Phone via Twitter, and the phone seems to be one having no bezels. As of now, there are no words from him regarding the specifications, but last month it was spotted on GFX Bench and thought that we could see some of the key specs of the phone, and I must admit that I’m impressed by what it is going to offer. The Essential Phone will come with 4GB of RAM and will be powered by the Snapdragon 835 chipset. The phone will sport a 12MP rear camera capable of shooting in 4K and will be running the latest Android 7.0 Nougat. The phone will have NFC as well. As of now as there is no word from him, so we can just expect it to gets launched soon and hope that the price tag isn’t that high. If everything is fine, we may soon see a bezel-less iPhone soon as Apple launches the iPhone 8. Rumors are suggesting that the next iPhone will have a design refresh and those big bezels will go away. 9to5Mac also suggests that the next iPhone will come in two sizes- one with a 5.5-inch display and the bigger one will have a 5.8-inch display. Also, some rumors are suggesting that Apple may consider adding another 1GB of RAM to total the RAM capacity up to 3GB. There are no words regarding the launch dates so what we can do right now is to wait for the teaser from Apple and expect that Apple is working on it. Also, purported iPhone 8 schematics show bezel-less front. Someone has also described a bit how apps will look like on a bezel-less iPhone. This phone from Meizu was probably highly inspired from the Mi Mix. The alleged Meizu Pro 7 has no bezels at all, and as we can see the fingerprint scanner is embedded in the display itself, so it may use the Qualcomm’s ultrasonic fingerprint scanner. The leak also mentioned ‘Sonavation,’ a company specialized in developing ultrasonic biometric scanners. 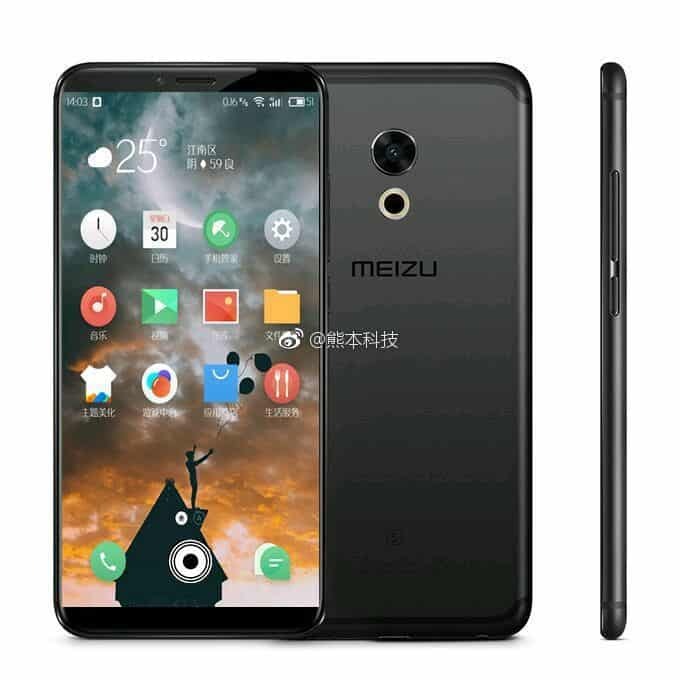 However, it’s not sure which vendor Meizu will choose, but surely this new phone is under development and may be launched later this year. 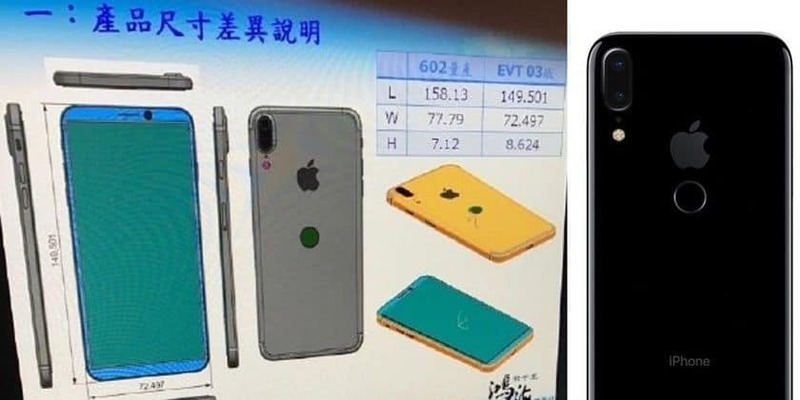 The leak also suggested that it will have a front-facing camera which will function like a webcam, i.e., it will pop up from the top of the device as there is no space for a front-facing camera. However, the latest leak right now suggests something different. The most recent render shows that the phone will have bezels on top and bottom. The design is strikingly similar to the Galaxy S8. Meizu Pro 7 is expected to feature a 5.62-inch Super AMOLED display with display resolution of 2160 x 1080 pixels. According to GSMArena, the Meizu Pro 7 will be powered by Huawei’s Kirin 960 chipset instead of Samsung’s Exynos chipset. The Kirin 960 chipset is also said to be paired with the new Cortex-A73 CPU cores and the Mali-G71 Vulkan-enabled GPU. It may come with 6GB RAM and storage options of 64GB and 128GB. In the camera department, the Meizu Pro 7 is expected to feature a 12-megapixel rear camera with Sony IMX 386 sensors and an 8MP front-facing camera. There is no word regarding the battery capacity, though it is said to come with mCharge 4.0 which can fully charge the smartphone in 40 minutes. Mi Mix was a great hit despite being a limited edition phone, and now the successor to Mi Mix may be months away from being launched. 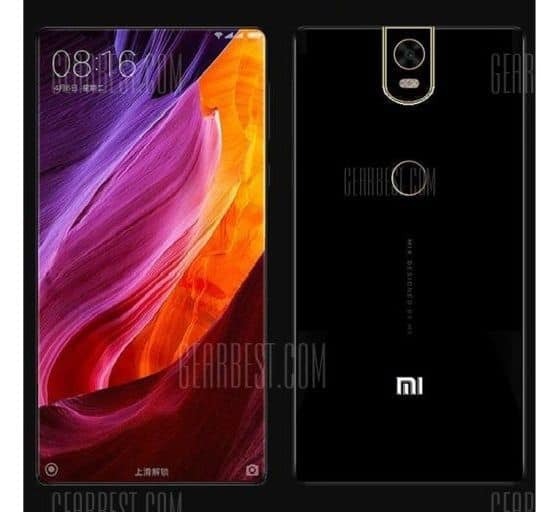 Now the popular e-commerce site GearBest leaked the Mi Mix 2. However, we are not sure about the authenticity of the image as there are many renders, concept leaks, etc. 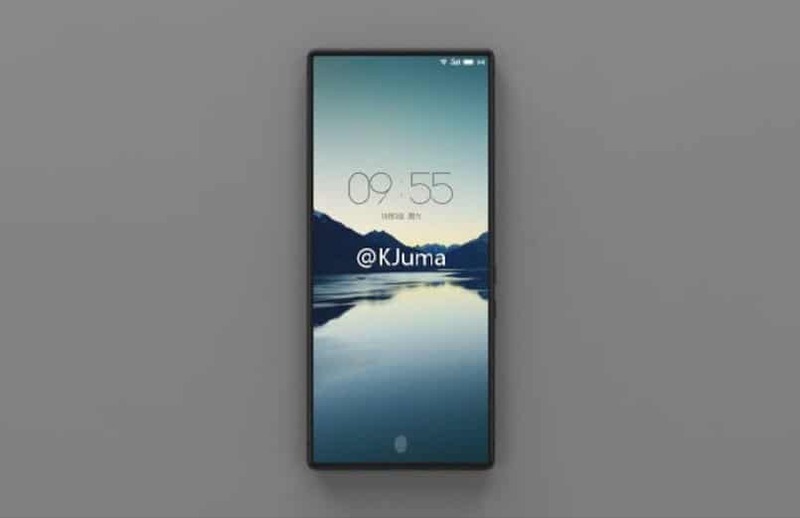 Xiaomi CEO Lei Jun confirmed that the Mi Mix 2 would be designed by Philippe Starck. However, the Mi Mix 2 won’t have 100% screen-to-body ratio, but instead, it will be somewhere above 93 percent, 2% greater than its ancestor Mi Mix. The Mi Mix 2 will come with a 6.4-inch AMOLED display having a resolution of 2540×1440 pixels. The device is expected to be powered by a Snapdragon 835 SoC, just like the latest Mi 6. The Mi Mix 2 is expected in three RAM vs storage variants- 128GB with 4GB RAM, 128GB with 6GB RAM, and the highest variant with 256GB storage and 8GB RAM. The Mi Mix 2 will come with a 19 MP rear camera, though some earlier leaks suggested that it will come with a dual camera setup. The Mi Mix 2 will come with a fingerprint scanner embedded under the display and a 5000mAh battery. 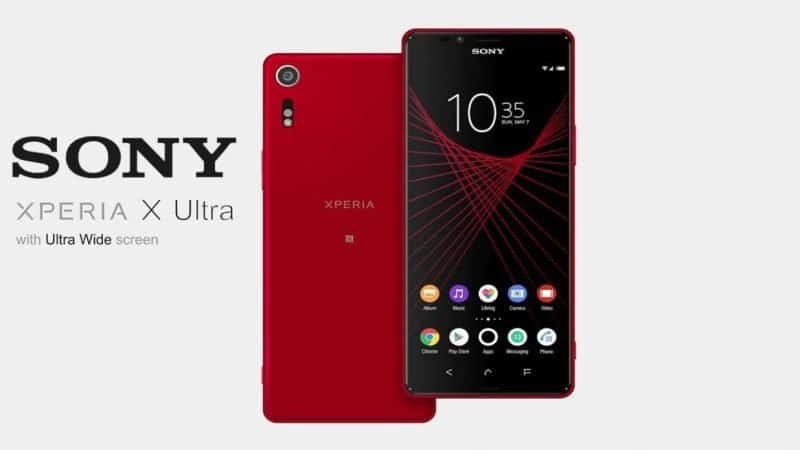 After a break, Sony is getting back into smartphones as it seems they are going to launch a new phone soon- the Xperia X Ultra, which is being rumored to have a bezel-less, ultra wide 6.45-inch 2K display having an aspect ratio of 21:9. The Xperia X Ultra will be powered by one of the upcoming processors from Qualcomm, rumors suggest that to be the Snapdragon 660. It will come with 4GB of RAM and 54GB of storage. As per rumors, the Xperia X Ultra will sport 19MP rear camera and 13MP front camera. The phone with be IP68 certified dust/waterproof over 1.5 meters and 30 minutes. Right now, there is no word about the launched date, but it will get launched by the Q3 2017.